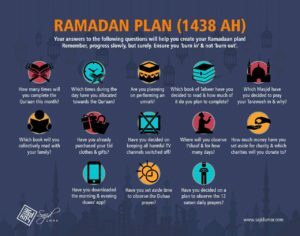 Assalamualaikum everyone, Some of you have asked for a suggested Ramadaan plan. Please see this poster for your consideration. Please share it as well. Allah bless you all.